Born in Germany 1982, Ruf's work explores ambiguous manifestations of narrative and recent histories via an images' relationship to its materialistic entropy. Boomerang is a series of 'paintings' made from photographs of arial landscapes taken by his father whilst pursuing his hobby of balloon riding. 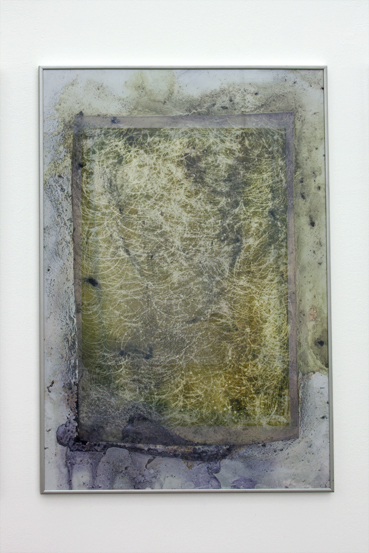 Utilised as a readymade, Ruf investigates the materiality of his fathers photographs by painting over the images with a series of toxic substances such as Acetone, bleach and 'floor stripper'. 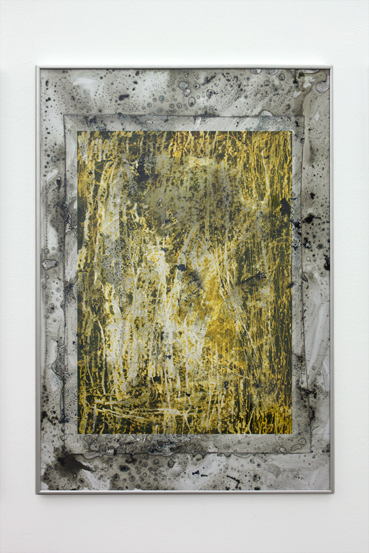 Ruf's act of 'painting' dissolves the pigments of the prints, erasing the photographic resolution to a wash of abstract marks and consequently the objects connection to its past. 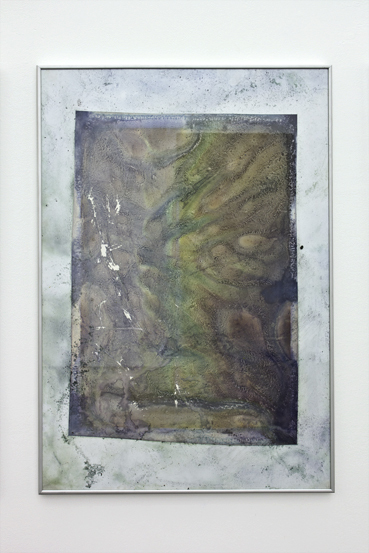 The re-surfacing effect of the toxic substances on the surface of the photographs creates images of a different sort of topology; Perhaps one that is further removed, alien and ambiguous: There is a suggestion of strain on the faculties of memory and history as the abstract forms become reminiscent of systems found in macrocosmic images. Encased back into their original frames the Boomerang paintings further propose the reliance on display and presentation that both images and concepts such as narrative have.